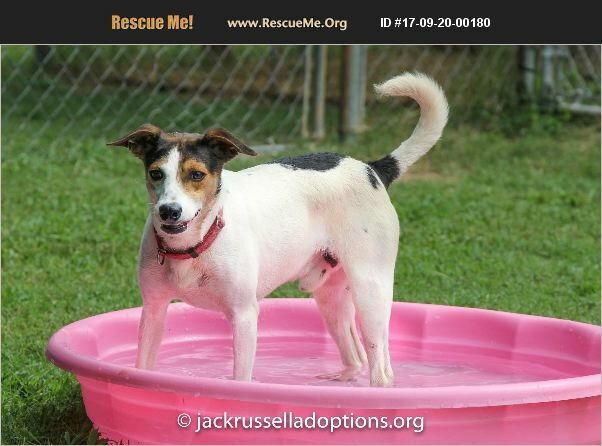 Georgia Parson Russell Terrier Rescue View other Parson Russell Terriers for adoption. Hey, there, everyone! Curtis here. I arrived at rescue from the Cherokee shelter (I was Jake there) in early September 2017. I'm a handsome, young, happy boy, but I was special because I'm slight heartworm positive, a little bigger (around 25 lbs.) and longer legged than your usual purebred Jack Russell or Parson Terrier. They tease me that I'm a 'hound dog' because I'm just so laid-back and loving. I live for love, hugs, and positive reinforcement. I'm quite possibly the sweetest, most 'handsomeness' loverboy you'll ever meet. But I guess I don't have 'manners,' as they say, because I want to jump up on (nicely, I think) and hug everyone I meet. Who doesn't want hugs?! But that's OK �'�| I guess I will try to learn to be a little more subtle with my hugs and kisses �'�| maybe �'�| Other dogs are OK; they don't bother me at all. If they are jealous or possessive of you, though, they will definitely not like me because I will want all of your attention. But if you're looking for a boy to call your own, one to cuddle with and watch the sun rise or set, I'm you're man! I'm on slow kill now and am going to kick this silly heartworm thing that has seemed to come between potential adopters and me so far. Trust me, I have no idea anything is even going on. If you decide to take me home, you'll just need to make sure I get my monthly heartworm preventative (i.e., slow kill) and work with the rescue to get me retested in a few months. Otherwise? I'm young (maybe about 2-3) and feel great! I can't wait to find a home again where I can sit by your side �'�| or on your lap �'�| I think I weigh 2 lbs. and, once you meet me, you will, too.